KENYA – A woman identified as Millicent Millie Kithinji allegedly committed suicide just hours after putting up cryptic updates on Facebook on Thursday 21, March. “My love…words are hard to form a perfect clause to express the love I have for you. I have fought the battle but seems like am being defeated…I only pray that God may give you guidance, love and comfort. Mom still loves you and will always love you. “Kindly do forgive me,” wrote Kithinji. “Dad sorry but can’t be able to break the news hope you will forgive me,” she wrote. 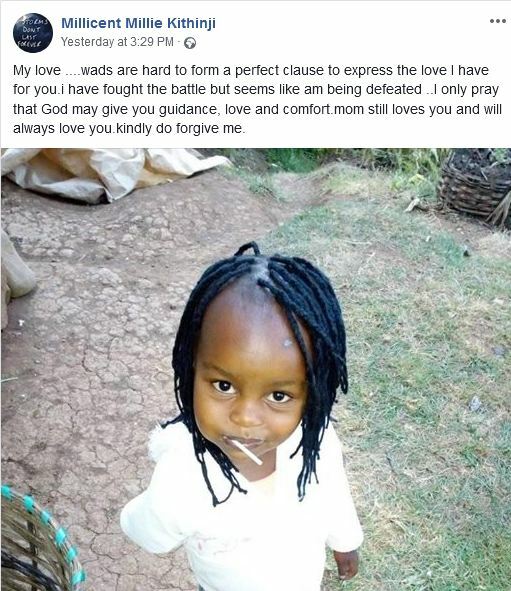 Following the news of Kithinji’s demise, friends flooded her timeline with condolence messages and many regretted not responding to her cries of help. “I woke up today morning to this sad news of your demise it’s so hard to believe…I admit I have failed as a friend since I always saw your alarming posts but it never crossed my mind it can get to this point ….am so sorry, I am sorry again ….and thank you for the lesson …. Safiri salama Milly… suicide has robbed us another young beautiful soul …. It’s sad ….” wrote Lizz Wanyua. 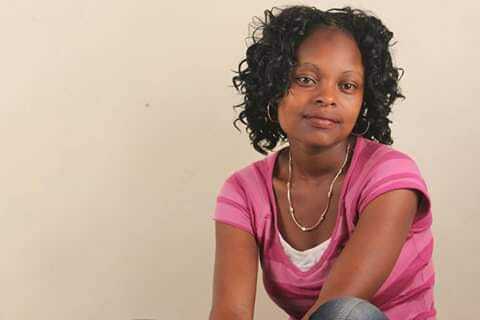 Visit Millicent Millie Kithinj Facebook Account for more information..